Wandering Tree Estate’s 10 acres of gardens and a lake allow for a large guest list. Bookings include three full days of private access to the estate. Sleeping accommodations will have to be found elsewhere, but brides can rent the bridal cottage for pre-wedding primping. Only domesticated animals, such as dogs, cats and horses, are allowed on the property. So leave your lions, tigers and bears at home. See the venue. The groom has his best man, but what about his best friend? Man’s (and woman’s!) best friend, to be precise? Dogs — and yes, some cats, horses, etc. — are big parts of the family and shouldn’t be left out of the wedding festivities. 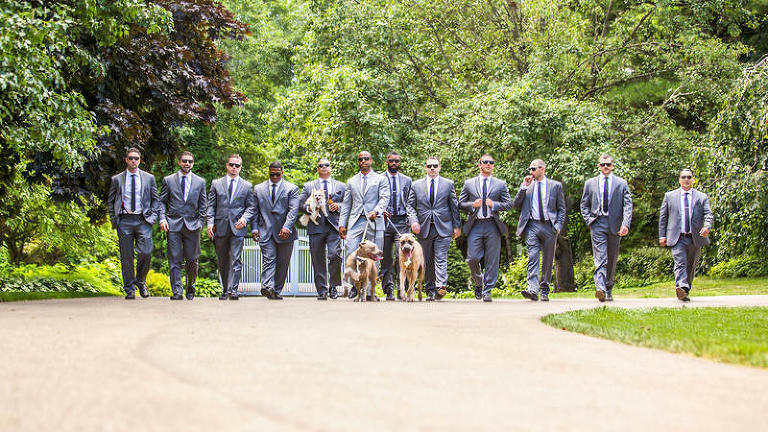 We’ve collected a list of Chicagoland venues that allow Fido to walk you down the aisle and, in some cases, attend the reception. Whether you’re looking for beachfront nuptials or a city loft locale, there is likely a pet-friendly wedding venue for you. Sign up for our email newsletter to stay up to date on all of the latest news and events happening at Wandering Tree Estate.